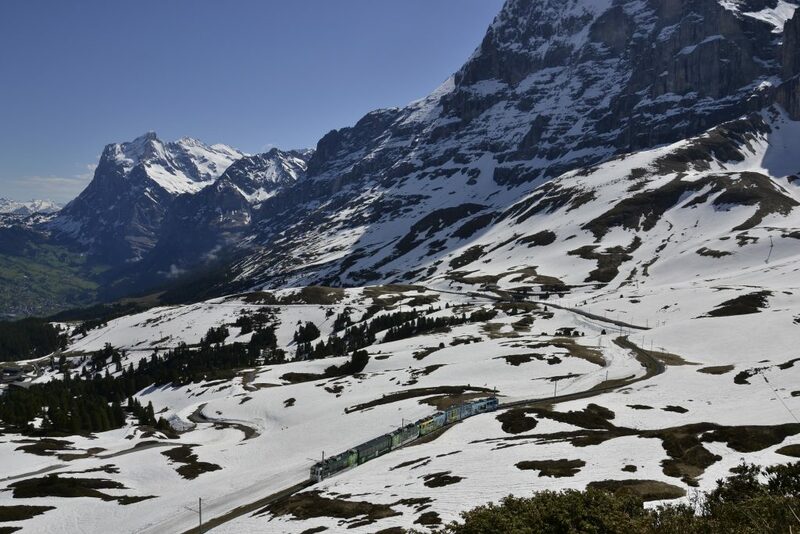 Kleine Scheidegg is the train station where the final climb to Jungfraujoch (3454m)begins, the terminal station of the famous cogwhell train. 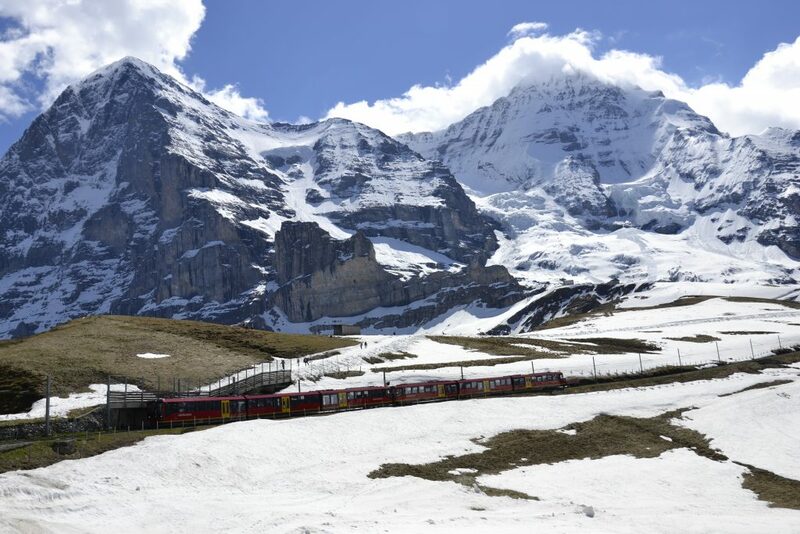 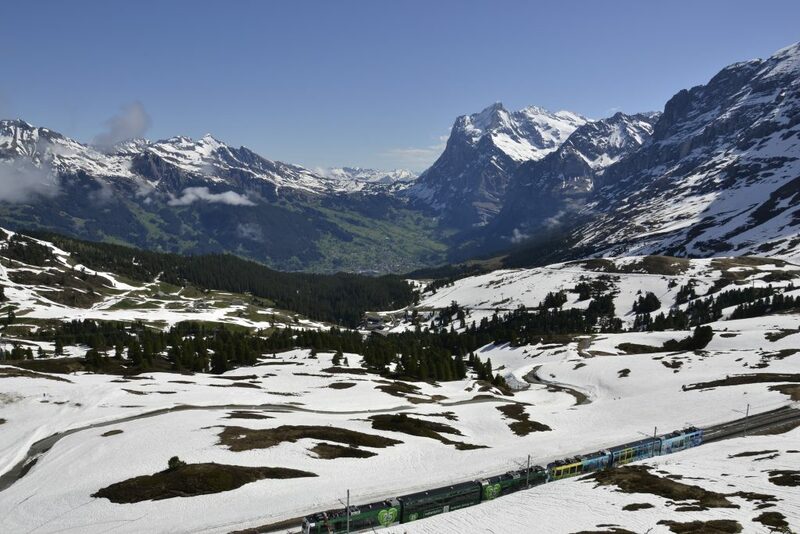 Above that point, the train stops only at the Eiger glacier and then enters the deep of the mountain. 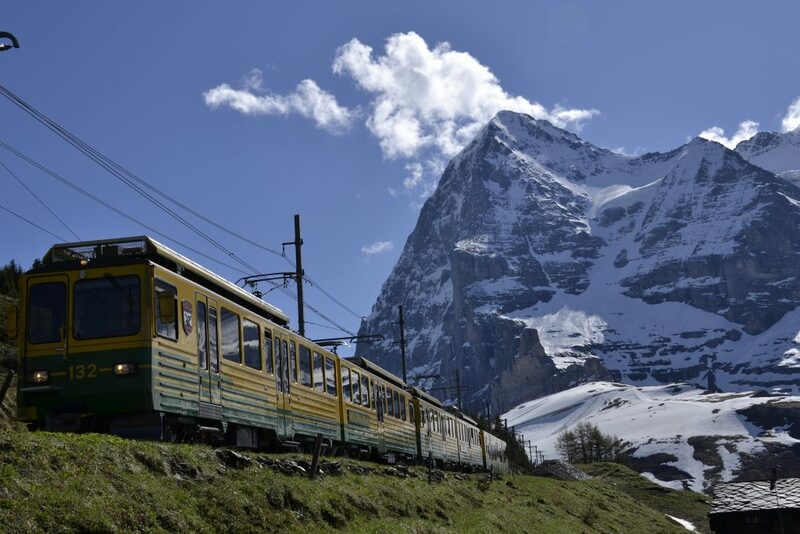 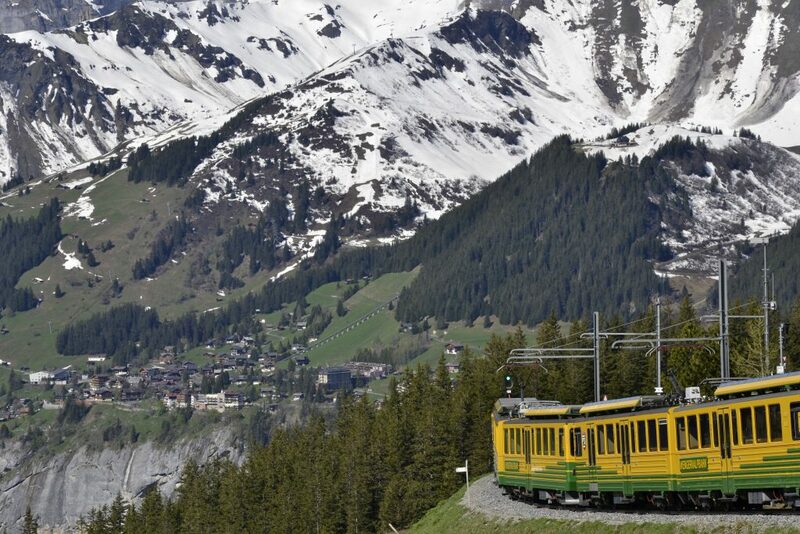 The train inaugurated in 1912 is probably one of Switzerland’s most famous tourist attractions. 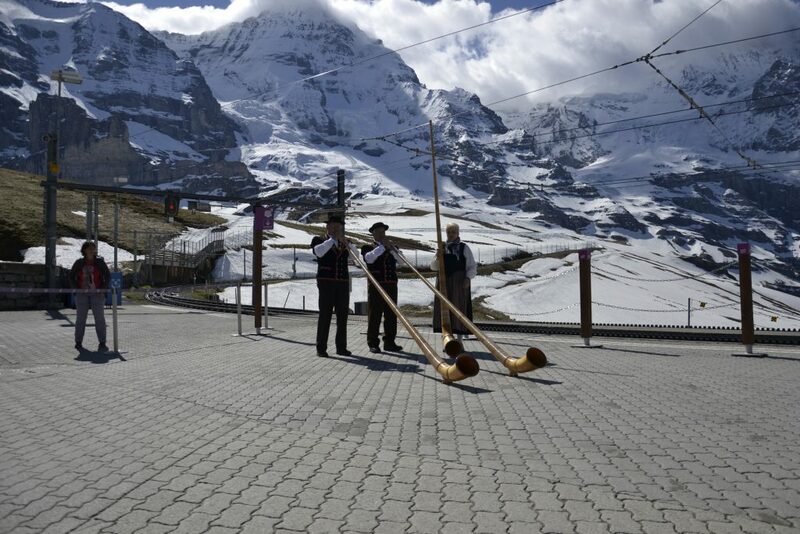 Of course we did not want to miss it and we chose to climb from Lautrebrunen to Kleine Scheidegg. 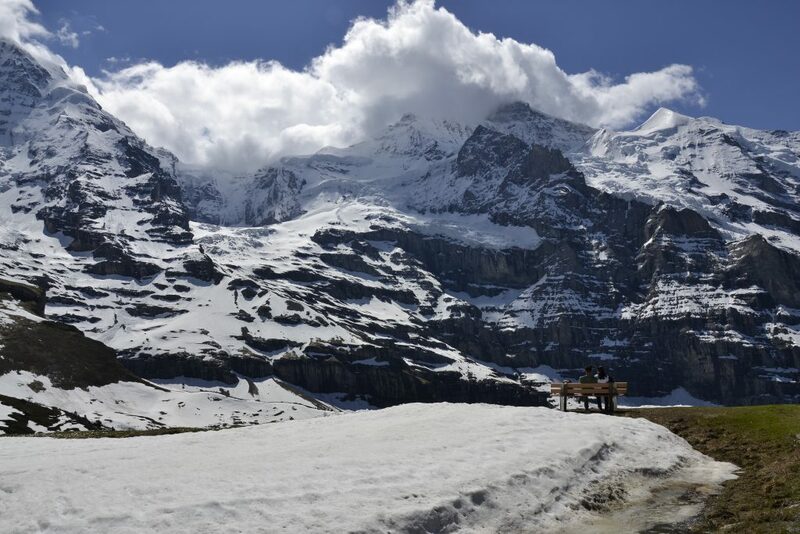 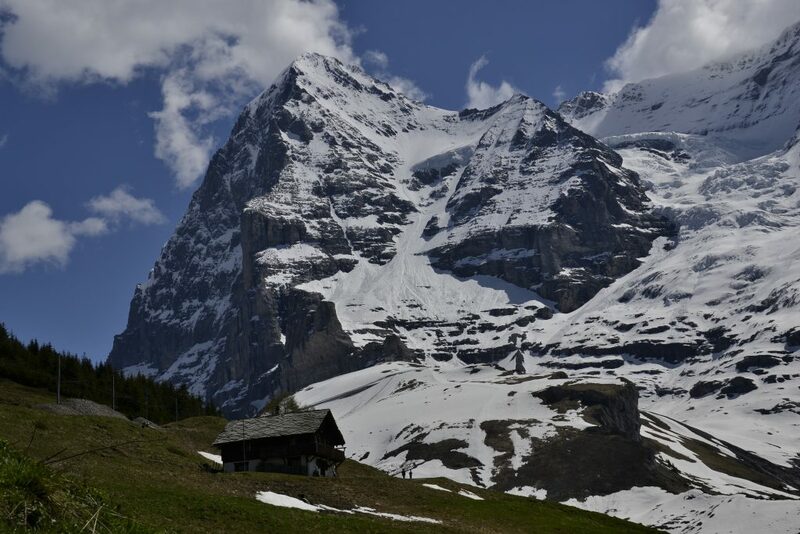 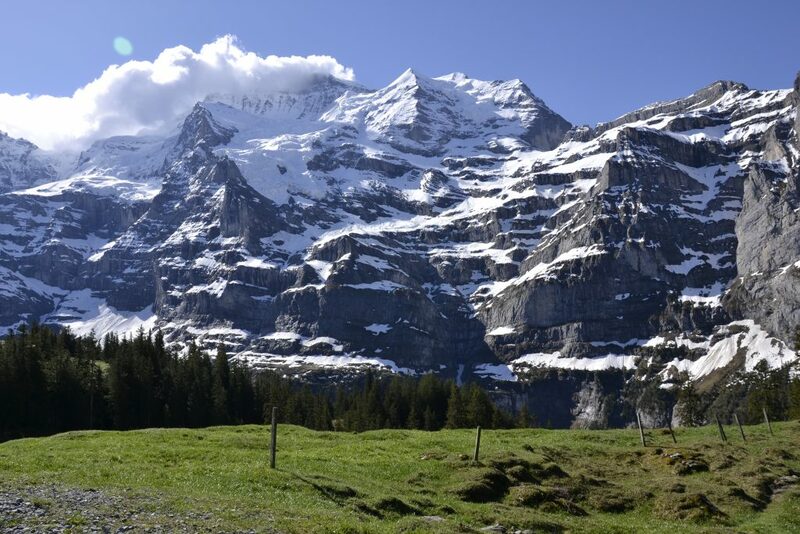 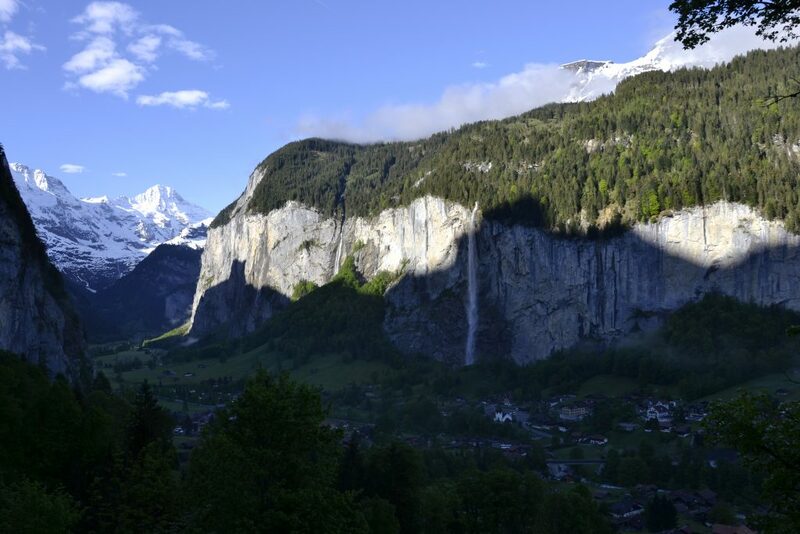 The place is obviously very touristy and full by tourists and souvenirs, but it offers a beautiful panorama on the Eiger’s northern wall. 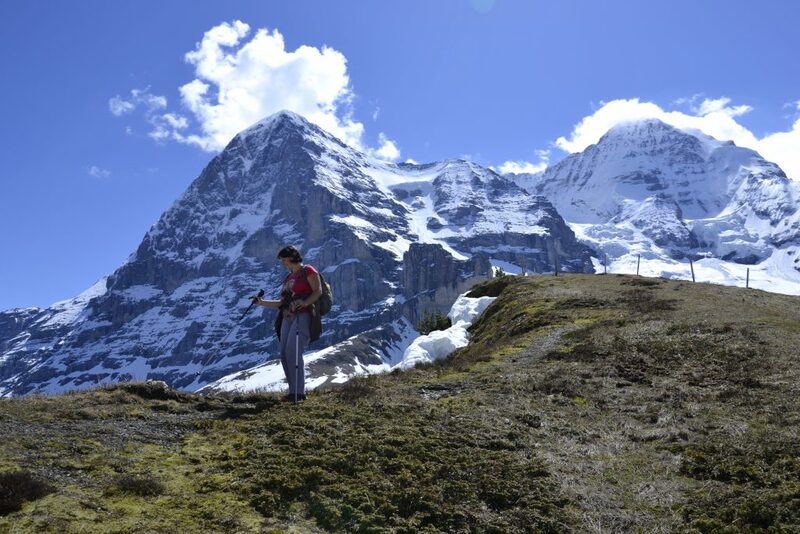 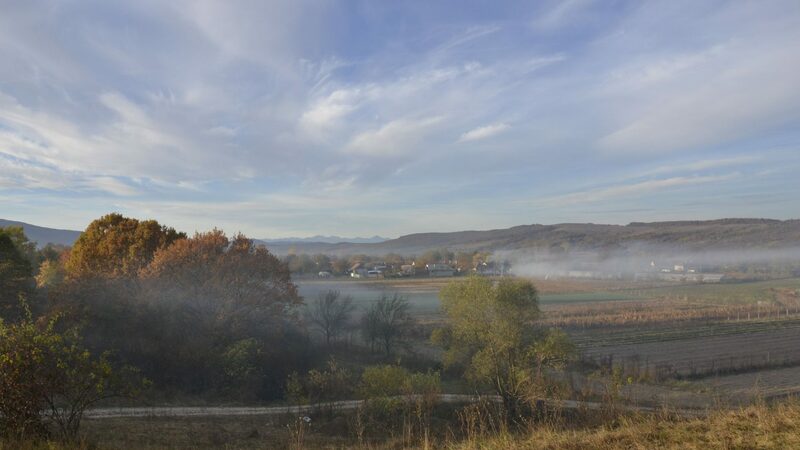 We chose to go downhill to Lauterbrunen by foot, and so we had time to admire the surroundings, to discover the villages that we visit in the few days spent in the area.